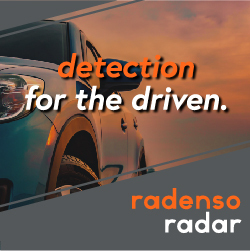 Press Release: TORRANCE, CA–Rydeen Mobile announced it is shipping what it calls the aftermarket’s only self-speed sensing radar blind spot detection system. Called the BSS2x, it uses sensor technology to detect vehicle speed rather than using GPS or a connection to the CAN/OBD network. The BSS2x system is always ready because it requires no waiting time for a GPS connection, as in other systems, said Rydeen. “The new BSS2x also detects when your vehicle is approaching others in traffic. An alert will be received as your vehicle comes up to and passes other vehicles. While we always recommend the safe use of mirrors, the BSS2x will make them almost obsolete,” said Phil Maeda, president and CEO of Rydeen Mobile Electronics. The BSS2x has a suggested retail price of $899. Auto-speed detection without the use of GPS or OBD2, using 2-way (1-transmitter, 2-receiver) sensing technology, offering the ability to detect vehicles up to 80-feet behind even as the closing distance reduces quickly. Detects when your vehicle is approaching others from behind issuing a programmable warning until it is safe. Equivalent to OE products in both sensitivity and performance. 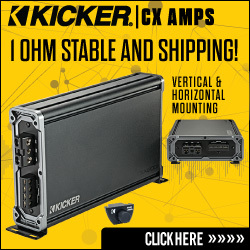 Replicates, precisely, the same behavior found in OEM systems installed on the latest high-end vehicles.